Regardless on where you stand on this issue, my question is, will this significantly impact your decision to purchase this game? The fan translation begun nearly a year ago and from what I understand, the translation is complete and available (with a little effort and searching and digging) for those who seek to play the game as the creators intended, without censorship. How you go about getting said fan translation – I will leave that to your imagination. You could for example, support the game creators by buying the original Japanese language Nintendo cartridge for your 3DS and patching it with the translation — or you could use less ethical means which I won’t discuss here, and never indicated that I support. – It’s not just as simple as buying the English version and applying the patch to that version to restore the lost content, as the patch will only work on the Japanese version. However, if you choose to import the Japanese version you may be locked out of DLC content available only in the Eshop. So you’re missing out either way. In the end, if you really like the franchise and wish to support Nintendo you could even buy both versions of the game. But ultimately, for most western gamers, the changes are small enough that they likely won’t be missed. Still for a small but vocal group of core fans, or Otaku (anime obsessed fans – such as myself) these changes are enough to be upset over. Many Otaku buy Fire Emblem solely because of the relationship aspects which differentiate the series from the slew of other strategy games available. By censoring and “Westernizing” the series, Nintendo runs the risk of deterring the fans who would want to buy such a game in the first place. Perhaps they are not satisfied with such a small market share and strategically removing the content to make it “less” Japanese and more appealing to “mainstream” gamers. While I will miss the Skinship, I will probably still buy the western release. I don’t feel it’s enough of a significant change to boycott the series or Nintendo over. I am disappointed by Nintendo’s decision and wonder if anything will be added in replace of the Petting minigame, such as perhaps talking to, or giving gifts to your comrades, etc, as the Petting game offered bonuses and made a significant difference in the upcoming battles. It will be a shame to lose those stat bonuses just because of some controversial undertones within the minigame. 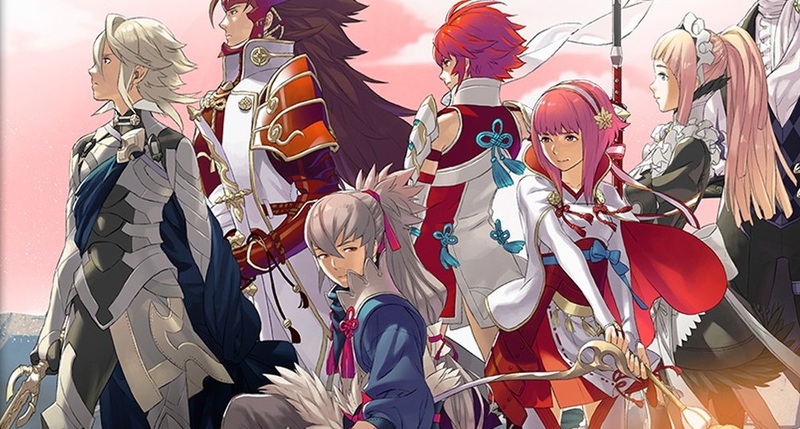 Skinship (or Petting as all of the media outlets are calling it) is not a new concept, not if you’re familiar with dating sim games – and Fire Emblem definitely has a strong Dating Sim component tied into each game. Skinship exists in other games in this genre – While the mainstream media outlets are loving to compare it to Pokemon Amie (possibly because it’s one of the only examples of Skinship in a Western Release) – and saying that it would be “creepy” or “odd” to pet a “human” character – this is nothing new for these types of games despite how “weird” or “sexualized” the media is portraying this mini game to be. For example, Tokimeki Memorial also has a Skinship feature, as does Ensemble Stars both are Otome Dating Sim games. Princess Maker 4 also comes to mind as having Skinship. The problem is, none of these games ever got “localized” – perhaps the Skinship feature is partly to blame as America is so up tight about anything with even a hint of sexuality – Meanwhile it’s fine for their kids to play games with blood, gore, violence, or foul language, but if anything is even slightly perverse, it riles up a frenzy in the media. As other media outlets have pointed out, Nintendo’s entire marketing strategy has been on providing family entertainment for small children. While Fire Emblem is likely to be rated T for Teen, that won’t stop parents from buying it for their young kids anyways. So I do understand just why Nintendo has made so many changes. I may not like it, but I get it, it’s all about business at the end of the day and Nintendo’s business is all about very small children. I am pretty concerned for what the future will held for SMT X FE #, another Nintendo release in the Fire Emblem franchise. While Atlus is focusing on the localization of that title, it’s even more “Japanese” than Fire Emblem Fates since SMT X FE # deals with the Idol Singing Subculture that proliferates Japanese pop culture. I worry that Nintendo of America may “Strong-arm” Atlus into making changes which will dumb down all the “Otaku Pandering” elements from the final release. In case you haven’t heard news of these recent changes check out some of the major media outlets covering the story below for more info. And then weigh in with a comment below and let us know which version you’ll be buying, or maybe you won’t be buying any of them. Do you feel Nintendo is making a smart business move to capture more audiences, or hurting themselves by isolating current fans of the Fire Emblem franchise? Bayonetta Joining Super Smash Bros. I understand why too, but i disagree that it justifies what they’ve done. I’ve been a long time supporter of Nintendo, and that ended when i got my SE. Never buying another one of their games untill they at least provide an optional ability to access the content. Of course they will never. Good article, I’ve heard there’s a fanmade- patch coming out that will put it back into the game, with a few english voice clips that were kept unremoved from the game files.